I love writing new unit plans! Researching for hours. Pulling together resources from far and wide. Figuring out ways to challenge and engage my students in new and interesting ways. Thinking "outside the box," I regularly pull history, sociology, psychology, technology, current events, pop culture, art, and music into my literature lessons. As an educator and a lover of literature, I want my students to engage with the text. I want them to not just read the words on the page, but think about them as well. I want them to not just know what happened in the story, but also to consider why it happened. What motivated the author to craft the story? What are the characters' motivations? Why is the conflict occurring? What if the character/setting/actions were different? What would happen then? How can we relate our own story to the one we are reading? When our students write, we are constantly telling them to show us, not tell us. I think when we teach literature we should take our own advice. I believe too many English teachers spend too much time telling students about literature, explaining the symbols and themes and motifs, and molding the way students think about the stories they are reading by imposing too many of the teacher's own beliefs about and interpretations of the text. We should be figuring out ways to engage our students in the texts, to allow them to experience the stories themselves rather than vicariously through our own knowledge and experience. The wonderful thing about literature is a story you read at 13 is probably not going to have the same meaning to you if you read it again in your 20s, and it most definitely is not going to be the same if you read it in your 30s. Our students deserve the opportunity to experience literature in a way that allows for interpretations coloured by their own backgrounds, beliefs, and life experiences. As I browsed through the approved list of novels for my courses' teacher-choice units, I was ecstatic to see Golding's Lord of the Flies. Now, this book was part of the classes' summer reading lists; however, after quick survey of my students, only about half of them had even attempted to read it. Approximately one quarter actually made it to the end (or almost to the end), and only a handful of those students liked the story. Most of those who read it were quite vocal about their dislike (or more often hatred) of the story. When I pushed them for reasons why they didn't like it, the majority said the story didn't make any sense to them. People wouldn't really behave that way. And as one of my most outspoken students so succinctly put it - "it's just a bunch of boys runnin' around half naked and killing each other for no reason." After about 10 minutes of discussion, I decided to accept the challenge! 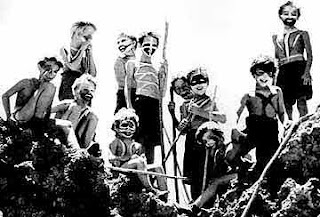 With the accompaniment of many moans and groans, I announced that we would in fact be taking on Lord of the Flies for our next unit beginning the following week with the promise that I would show them the story was far more than a bunch of half-naked boys killing each other in the jungle for no reason. Obviously, we did vocabulary and comprehension exercises combined with questions involving inference and interpretation because my students have to understand the story being told. We did discuss characters and symbols. (You can find a comprehensive study guide with vocabulary and reflections here.) But I wanted to give my kids more. I wanted them to have an experience with this book. We concentrated on the themes - how they apply to us and then how we can apply them to the boys in the story. I like to begin at the beginning, so we started with Golding himself. After giving my students a brief biography of Golding's role in world War II, we discussed the war. (As a happy accident, my classes were studying WWII at the same time.) We talked as a group about the events of the war and the changes in the 'war machine' that took place during this time and how these evolutions (or devolutions, if you'd rather) changed people's perceptions about man's inhumanity to man and what behavior could be justified by war. Moving on, we discussed right and wrong, good and evil, and the capacity of an individual to cross these lines. While my students did a good job identifying events and changes that took place during the war and seemed to have a handle on why these things changed public opinion, most of them were still very 'black and white' in their views regarding the broad concepts of right or wrong - good or evil. This is just what I was expecting and what I had planned for, but more on that later. Switching gears from broad themes back to the story itself, I posited the question, "What is the main goal for these boys?" A resounding, "Survive," issued forth from my students, and a conversation about surviving in the wilderness ensued. I have to say, I was pleasantly surprised how many 15-16-year-olds watch Survivorman and know who Bear Grylls is. All in all, the majority of my kids felt pretty confident that they knew enough to survive. "It's not that big a deal," one boy answered, "it's all about common sense." OK! Let's put this to the test. Bring on the "Would You Survive?" Quiz! Lesson learned? Survival is not quite as easy as they thought it would be. So, what's up next? If you are in a survival situation, how much would that change your beliefs or behavior? Would it be possible to justify decisions you probably wouldn't make in your everyday life? Here is the "Who Should Survive?" group activity to help you answer these very questions. Splitting my students into 5 or 6 groups per class, they worked together through this activity. (Some of my more "delicate flowers" found this exercise mildly distressing, just so you are aware.) As the groups defended their choices about who to keep and who to leave behind, we also kept track of which characters were chosen and which were sacrificed on the board (overall there was a definite pattern which we also discussed). Lesson learned? In a survival situation most of us are looking for people who we believe will benefit us the most. Although, some groups did exhibit a strong protective instinct for those smaller and weaker than themselves. Interesting. Using an extended version of The Heinz Dilemma, we worked through the scenarios with the kids reading and responding to each vignette individually first, then discussing it as a group. As we systematically decided what was right or wrong (by majority vote), I marked through the list we had made on the board. In the end, the entire 'do not' list was toast. Lesson learned? There is lots and lots of gray area between what is right and wrong. Sometimes what we can justify as appropriate behavior or response is completely dependent on the situation. Occasionally, we need to walk in someone else's shoes to understand their actions. After completing these activities along the way, we finished up our novel by taking a deeper look at the three remaining main characters: Ralph, Jack, and Roger. First, as a group, we determined exactly what actions each boy had been responsible for on the island. Then, we discussed what crimes the boys could have been charged had they behaved this way in the real world. The final writing assignment was this - choose a character, choose the charges you believe should be held against them, mount a defense for their actions (taking into account their decisions and actions were made in a survival situation; they did not believe they would be rescued; the oldest was only 12 years old; etc. ), decide on an appropriate punishment (if any) and give reasons justifying your decision. By the conclusion of this unit, my students not only understood that this story was more than they first believed, but I feel they also grew more socially and emotionally aware of themselves and one another as well as achieving academic success. Goals achieved! 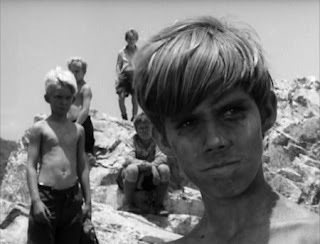 **As a side-note, I am searching for an activity that I can use with Lord of the Flies that concretely demonstrates 'mob mentality' for the scene in the story where Simon is killed by the boys. If anyone has any ideas about this, I would be most grateful if you would share! Thank you for posting this! It's absolutely fantastic! I'm a first year teacher; we're about to start Of Mice and Men this week, and then LOFT shortly after.... I will certainly be using your resources. Thanks again! You are very welcome Gabriela! I hope you find the resources useful to your classes! Much luck with your first year! 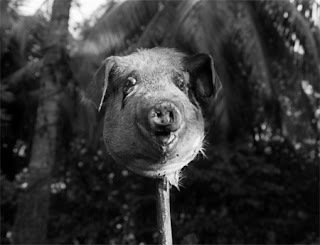 I stumbled across this as I was trying to find more unusual resources for my own LOTF unit. I was pleased to note that I'm planning on using similar resources. Also, if you're still interested, I did a version of the Heiz dilemma with asking the tough question, dividing the class accordingly, making them justify their answer to the whole, and then moving forward until the whole class was on one side of the room. It's was uncomfortable for some of my kids, but thoroughly impactful. This is a huge help with brainstorming my own unit. Thanks for posting it! You are very welcome Emily! I definitely like your tactic for using Heinz. I think a little discomfort is good for students from time to time. It keeps them thinking and helps them grow - absolutely impactful! 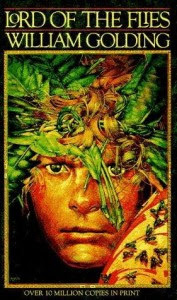 However, though it isn't necessary, I would recommend reading The Coral Island before Lord of the Flies, in order to understand and enjoy this book to it's fullest. I simply could not depart your web site before suggesting that I really loved the usual info a person supply to your visitors? Is gonna be back continuously in order to inspect new posts Click on Servers Valley for the best hosting service in UK & all around the world. The Twilight Zone episode "The Monsters Are Due on Maple Street" is perfect for showing fear and mob mentality together.